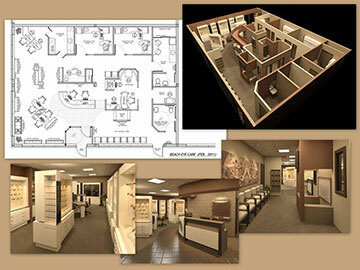 Modular Design Systems specializes in the design of state-of-the-art Optometric offices, Retail Optical stores and Frame dispensaries. The problem faced by the Optometrist and the Optician is not that different. The Optometrist has the patient already in the office and if they leave, someone missed something to cause that to happen. 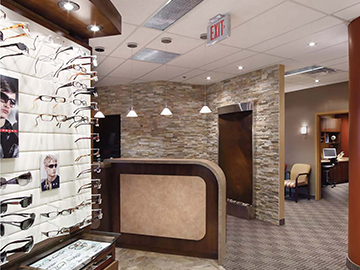 For the Dispensing Optician the first problem they face is to get their client into the office and then once they are in the office, to keep them there for all their services. 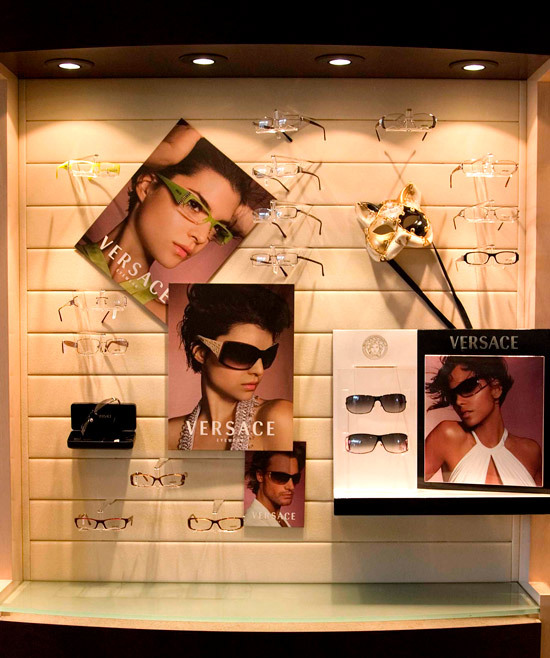 All of our Custom Display Units feature this extraordinary method of Frame Display. We would like everyone to know that you don’t necessarily have to buy our furniture to gain the amazing benefits derived from our Patented Frame Display System. 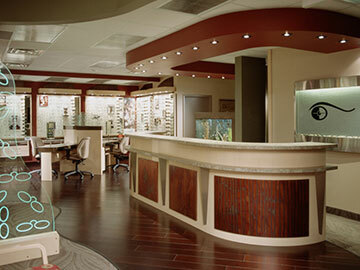 How important can a Reception Desk be to an Optometric office or an Optical Retail store? Very important! The reception desk is the first focal point in the office the patient is looking for.The materials it is built of should be chosen with quality in mind.